The LEGO® SERIOUS PLAY® CERTIFICACION is based on standards designed by the Master Trainers Association. 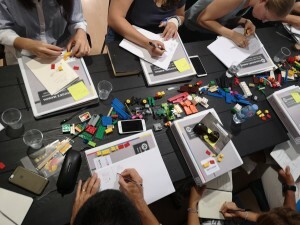 Only for this Certification, plus one day (July 11) of DESIGN THINKING application with Lego Serious Play, ALL INCLUSIVE! The methodology is based on research which shows that this kind of hands-on and minds-on learning produces a deeper, more meaningful understanding of the world and its possibilities, the LEGO® SERIOUS PLAY® methodology deepens the reflection process and supports an effective dialogue for everyone in the organization, supporting the fact that participants could be more effective in their communication, decision making and problem solving. The purpose of this method is to encourage creativity through team building activities based on Lego bricks for outlining own identity and experiences. 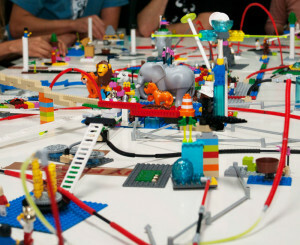 Participants take place mainly through imaginary scenarios made with LEGO bricks. 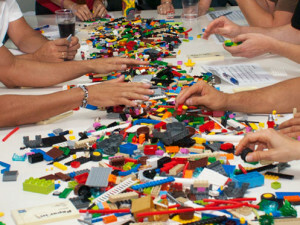 The LEGO® SERIOUS PLAY® Method is a facilitated meeting, communication and problem-solving process in which participants are led through a series of questions, probing deeper and deeper into the subject. • Find quickly the answers your organization needs to achieve strategic objectives. • Define, represent, share and agree on the vision of each participant about the problem to be solved through a concrete model. • Recognize and agree on the common points. • Propose various solutions and represent them in a comprehensible and concrete way. Who would be interested: trainers, educators, coaches, facilitators, teachers, social assistants, project managers, human resources managers. Application fields: company’s identity, company’s strategies, team building, processes optimization, personal identitities, personal strenght points development, business development. 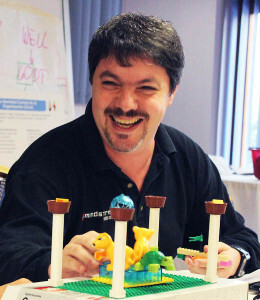 The certification will be held by Lucio Margulis, the first trainer of facilitators in the LEGO® SERIOUS PLAY® in South America and Spain and member of the Association of Master Trainers in the LEGO® SERIOUS PLAY® Method. First Trainer of Facilitators in the LEGO® SERIOUS PLAY® Method of the Latin and Hispanic world. He is the first to dictate the Certification / Training of Facilitators in Spanish, Portuguese and Italian. He has a degree in Education Sciences. He founded and he is director of the consultancy Game Serious™. He specializes in the design, development, execution and evaluation of projects and programs of transformation, strategy and creation of new business scenarios for the future, design of learning strategies and change in institutions and international companies of different sectors. He teaches courses, seminars and facilitates workshops in Latin America and Europe. It works with consultants, artists, entrepreneurs, professors and researchers and all those who can contribute with an interdisciplinary and innovative perspective. Lucio Margulis currently designs, develops and facilitates activities and projects through the LEGO® SERIOUS PLAY® , Design Thinking and other techniques and agile methodologies of strategic transformation in: Spain, Italy, Portugal, Switzerland, Denmark, Mexico, USA, Bolivia, Ecuador, Colombia, Chile, Brazil, Panama, Dominican Republic, El Salvador, Costa Rica, Honduras, Uruguay and Puerto Rico, Paraguay and Argentina. For any doubt, send an email or call us!